Jazeps Medins 1st Music School of Riga Boys’ Choir was founded in 1981. 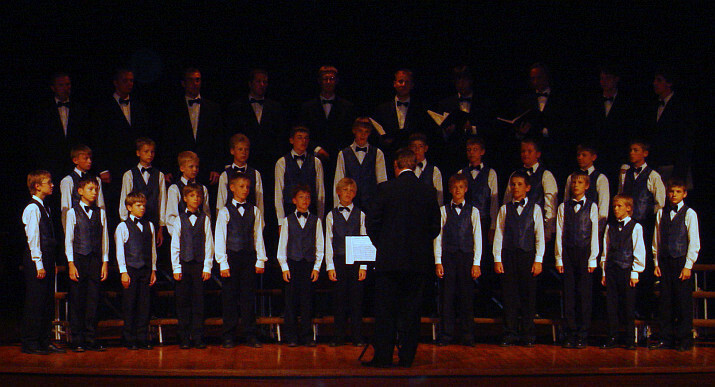 It has become one of the leading boys' choirs in the Baltic States. Since 1987 the choir has been directed by Romans Vanags (1960) – professor and the head of the choir department at the Jazeps Medins 1st Music School of Riga. Romans Vanags has been one of the principal conductors of the Latvian Song Festival and the Youth Song Festival. He was the artistic director of The 8th World Choir Games. 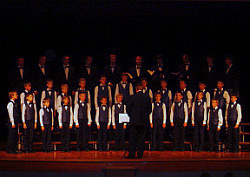 Awards at international choir competitions include first prize at the international competition Music World in Fivizzano, Italy in 2001; the first prize at the International Choral Kathaumixw in Powell River, Canada in 2000; the second prize at the international competition Guido d'Arezzo, Italy in 1997 and the first prize in the category of boys' choirs and the third prize in Grand Prix competition in Nantes, France in 1993. The boys' voices have been heard in Australia, USA, Canada, Brazil, Venezuela and Republic of South Africa. 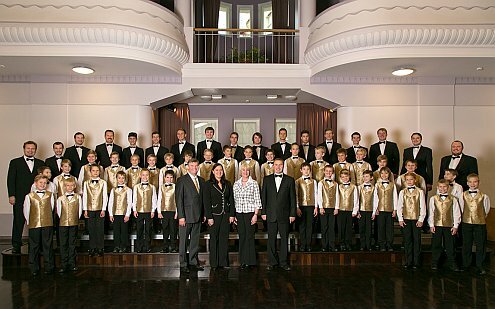 They have participated in 8th Latvian Boys' Choirs' gathering in 2008, 9th International Festival of Boys Choirs in Poznan, Poland in 2010, Singapore International Youth Choral Festival in 2011, 8th World Choir Games in 2014. The choir's diverse repertoire includes music from Renaissance till Romanticism and 20th century, as well as the Latvian folk song arrangements and original songs. Every year the choir gives about 40 concerts and contributes to charity activities. Some of the latest choir's recorded CD's include Imagine (2010), Little Devils (2011) and What a Boy I Was (2011). The choir has a well-established co-operation with the Latvian National Symphony Orchestra and other professional musicians, performing K.Penderecki's Credo, B.Britten's War Requiem, A.Honegger's The Christmas Cantata, G.Mahler's 8th Symphony, I.Stravinsky's Psalm Symphony, J.S.Bach's St Matthew Passion and M.Lauridsen's Lux Aeterna. The members of the choir have taken part in Latvian National Opera performances such as The Queen of Spades, Tosca, and The Magic Flute.